It's Stoptober. Time to stop smoking! October is here again, which is now basically a pre-new years resolution station. 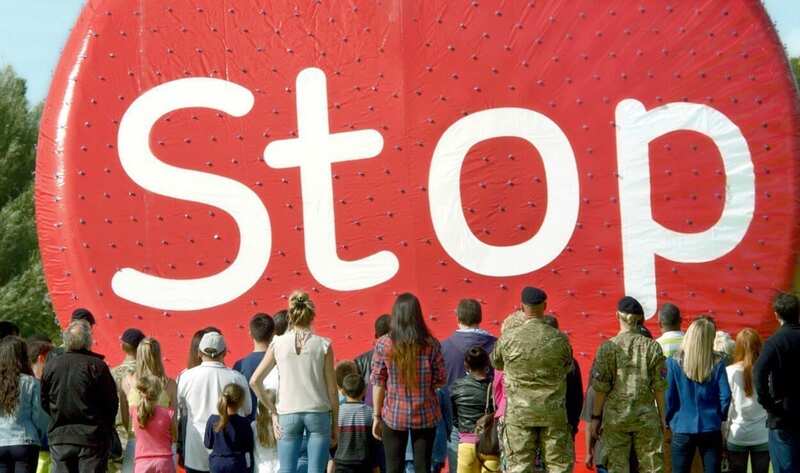 In last years UK Stoptober campaign more than 160,000 people stopped smoking! When it comes to smoking, we’re all aware of the negative impacts. In fact, it’s a habit that’s so detrimental to our health, that the manufacturing companies are forced by law to display images of the potential damaging effects. In some countries, these images are considered too shocking, so warning labels are used instead. Not only does it damage and kill your cells, but it makes you, and your breath, smell bad, turns your skin and teeth unsightly colours and blotches up your precious organs. Your skin being your biggest organ. I won’t even get started on how badly it affects your lungs. And if a deteriorating appearance doesn’t scare you off the cancer sticks, then cancer itself should. Now that we’ve got the mini-lecture out the way, let’s talk about the good part. Quitting. There are quite a few methods, tricks and hacks that can help stop us reaching for that addictive cigarette, but you’ve got to know your own body and mind, and determine which route will agree with you the most. 80% is will, 20% is skill. Meaning, most of the result is based on sheer determination, and the rest is due to following a logical quitting programme. That “programme” might be something as simple as cutting down gradually over a course of a few weeks or months, or switching to e-cigarettes for a period of time. Some people replace the smoking habit with a different one such as chewing nicotine gum, exercising to reduce cravings or taking up new hobbies to create more distraction. There’s even apps that can help you quit. 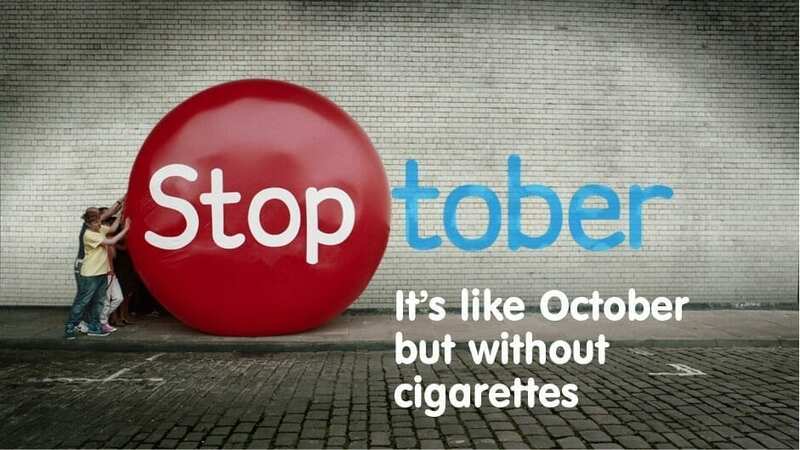 Stoptober has a really nifty one. And if apps aren’t your thing, Stoptober have daily email support, a facebook bot you can chat to when you need some encouragement practical tips, as well as information on medicines, e-cigarettes and stop smoking services. They’re the real Stoptober MVPs. People have successfully quit cold-turkey before, but more often than not it’s too impulsive and therefore non-lasting. Having said that, instances where it’s necessary to quit suddenly and abruptly such as pregnancies and illness should be more than enough motivation to get you through withdrawals. In those cases, you just have to bite the bullet and stop, or you’re going to do major damage. However, if you’re neither pregnant nor ill, and motivation has been scarce, or you just can’t manage to quit the hit after multiple attempts, don’t stress, just try again. There’s literally no better time than right now. Encouragement is on your side, it’s a sign, and this month has that vibe. If you make it all the way to New Years day, then your resolution can finally be to continue your non-smoking new healthy lifestyle. The hard part will be over by then, and you’ll be feeling and looking your best since the habit took hold. 20 minutes – Your blood pressure, pulse rate and the temperature of your hands and feet have returned to normal. 8 hours – Remaining nicotine in your bloodstream has fallen to 6.25% of normal peak daily levels, a 93.75% reduction. 12 hours – Blood oxygen level has increased to normal. Carbon monoxide levels have dropped to normal. 24 hours– Anxieties have peaked in intensity and within two weeks should return to near pre-cessation levels. 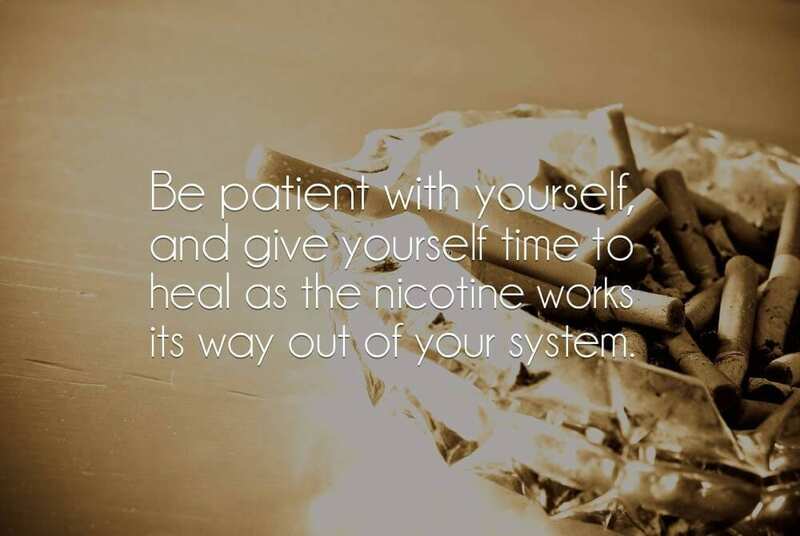 72 hours – Your entire body will test 100% nicotine-free and over 90% of all nicotine metabolites (the chemicals it breaks down into) will now have passed from your body via your urine. Symptoms of chemical withdrawal have peaked in intensity, including restlessness. The number of cue induced crave episodes experienced during any quitting day have peaked for the “average” ex-user. Lung bronchial tubes leading to air sacs (alveoli) are beginning to relax in recovering smokers. Breathing is becoming easier and your lung’s functional abilities are starting to increase. 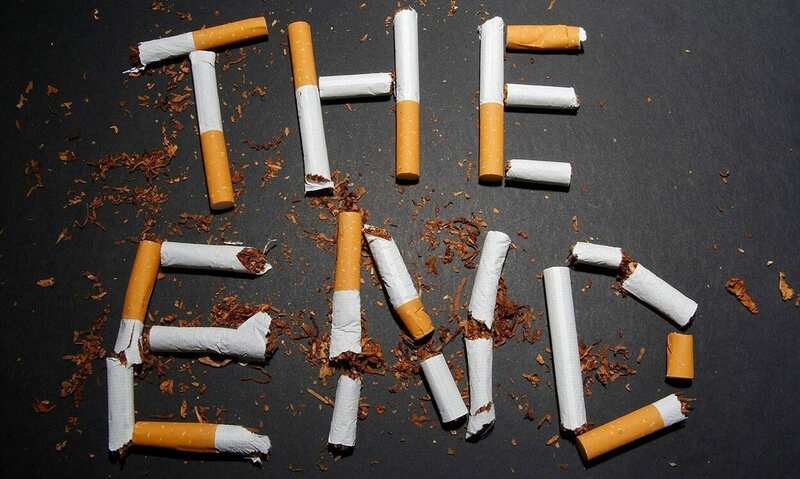 5 – 8 days – The “average” ex-smoker will encounter an “average” of three cue induced crave episodes per day. Although we may not be “average” and although serious cessation time distortion can make minutes feel like hours, it is unlikely that any single episode will last longer than 3 minutes. Keep a clock handy and time them. 2 weeks – Recovery has likely progressed to the point where your addiction is no longer doing the talking. Blood circulation in your gums and teeth are now similar to that of a non-user. 3 – 4 weeks – Cessation related anger, anxiety, difficulty concentrating, impatience, insomnia, restlessness and depression have ended. If still experiencing any of these symptoms get seen and evaluated by your physician. 1 – 3 months – Your heart attack risk has started to drop. Insulin resistance in smokers has normalised. Lung function is beginning to improve. Circulation has substantially improved. Walking has become easier. Your chronic cough, if any, has likely disappeared. If not, get seen by a doctor, and sooner if at all concerned, as a chronic cough can be a sign of lung cancer. Our diploma-correspondent course will help you as a practitioner understand the ‘type of smoker’ you are dealing with and the correct procedures to follow to deal with their addiction. If you’re just a smoker and not a therapist it will help you to stop smoking! Simples! Be one of the therapists that get it right and make sure your clients give up successfully! Stoptober!